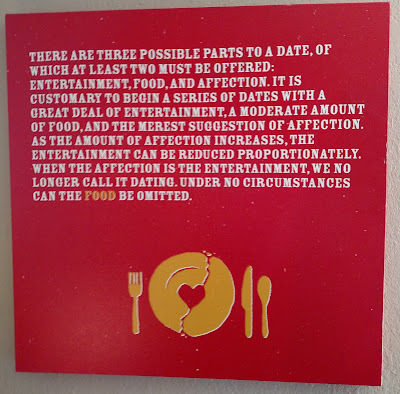 I saw this sign on the wall of a restaurant where Hubby and I had brunch last weekend. UPDATE: I have since learned that this was written by Judith Martin aka "Miss Manners". Whoever created this painting should have included her name as the source of the quote, rather than appearing to take credit for themselves.